4 Types of Conflict...but None About an Anthology! Today, we explored the 4 types of conflict that we find in stories. Some authors choose to focus on just one type for their stories and novels, and others choose to incorporate more than one--sometimes even all four! Remember that conflict drives a story; it helps to keep the reader engaged and keeps the plot moving forward. Subsequently, we passed out the anthology book from last year's 7th grade and had some time to explore and see what students wrote about last year for the book. Hopefully, the juices and the inspiration are both flowing and soon you'll be creating your very own creative piece for this year's anthology. Rock on! Last Friday, we had our 3rd Socratic Seminar of the year, using these questions as a guide. As always, it was VERY hard for me to bite my tongue as I heard fascinating and intriguing connections and ideas from you all--some of you were flipping pages in your novels so fast to try and prove your points. And I love that there were so many powerful articulations of what occurred in the novel and how it relates to our lives. Remember: English is all about finding out what you really think and believe (and sometimes changing that in the face of a powerful story or approach), supporting your ideas, and then connecting them to life to make a difference. Today, we continued reading Mockingbird in class as we prepare for Kathy Erskine's visit on April 4th. We also did a Quick Write and handed in our Nothing but the Truth novels. Our word of the day today was SUBSIDE,. which means to lessen or decrease; to grow smaller. An example of the word in a sentence is: when I got that huge split lip as a kid, it took two weeks before the swelling subsided. Another example is: I hope your love of reading and writing never subsides. For tonight, share a few sentences in response to this question: why do you think an author writes a novel? What do you think drives and sustains the author to complete the book and see it through until publication? Today, we talked about your synthesis essays and you received them back with loads of blue notes on them from me! Blue! We love blue! We also began reading aloud from Kathryn Erskine's National Book Award winning novel Mockingbird as we look forward to welcoming Kathy to our school for a visit on April 4th! We will begin preparing for our Socratic Seminar by working on this preparation sheet tomorrow in class. On Friday, we will then hold our THIRD SOCRATIC SEMINAR of the year, about which I am thrilled. Our word of the day today is APLOMB, which is a noun that means quiet self-confidence; poise. And yesterday's word was DISDAIN, which is a verb OR a noun that means to look down on someone (verb) or the feeling that someone else is unworthy. Today we had impassioned and enlightening conversations about the big question thus far in Nothing but the Truth: was it right for the school to suspend Phillip Malloy? Embedded within this question are others regarding what truth is, where respect and individual rights meet, and how students and teachers interpret school rules and school communication. 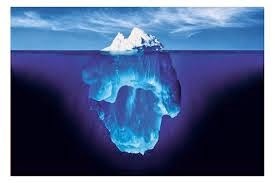 It was fascinating to hear your thoughts, and I look for ward to Monday when we'll use our class symbol of the iceberg and apply it specifically to the events of this novel. We also did a Quick Write today about the relationship between truth and trust. Over this weekend, be sure to read Chapters 15 and 16 in Nothing but the Truth, and we'll continue our conversation and do an iceberg activity on Monday. Our word of the day for today is CONCEDE, which means to admit something is true or valid; to yield or surrender. An example of the word in a line is In any intense argument, compromise can start to be reached if each side concedes some points. Today in class, we read the newspaper account written by Jennifer Stewart aloud. Her article in Nothing But the Truth frames Phillip Malloy's act in Miss Narwin's homeroom as one of patriotism--but you all had strong ideas about whether or not that was true. We did an activity in class called THE BOSTON PHOTOGRAPHS in which, as groups of three, you had to start to put yourselves in the shoes of newspaper editors and decide what their purpose is, what their impact should be, and how they determine truth. You became editors of the Boston Herald in 1975 and determined what you would have done with the photos taken by Stanley Foreman in July of that year. Our word of the day today is RELENTLESS, which means unstopping, unceasing. Our word of the day for yesterday was INCULCATE. For tonight, share a few sentences about the following question: What do you think the purpose of the media is (newspapers, news networks, etc): to inform, to make a profit, to fulfill a certain bias? Is it possible to have zero bias? Why or why not? Hello class! 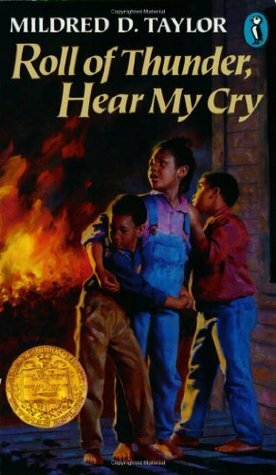 Today we read in small groups from Nothing but the Truth and I heard many amazing voices to personify characters like Miss Narwin, Mr. Lunser, Phillip Malloy, his parents, Dr. Doane, Allison, and the other key characters in this saga. Thus far, we are beginning to see how a tiny seed of misinformation and anger can fester and germinate and eventually grow into a crisis. And be sure to bring your copy of the novel with you tomorrow as well. Thus far in our reading of Nothing But the Truth by Avi, we have characterized Miss Narwin as very strict and somewhat uptight. Yet she does have a lot of passion for literature and teaching, as some of you astutely pointed out! As the plot thickens in our novel, we are beginning to see tensions develop, and tomorrow we'll continue acting out scenes from the novel. As we begin to think about Phillip and Miss Narwin--along with the other characters--share a few insights regarding this question: Would you want Phillip Malloy as a friend of yours? Why or why not? Our word of the day today is SUBTERFUGE, which means a great deception or trick. Today, we are handing in our final drafts of the SYNTHESIS essay. You made it! I really appreciate your hard work on an arduous skill--and I am very proud of each of you writing and revising these essays paragraph by paragraph. Yesterday, after reviewing the proper heading and workshopping engaging titles, we had the chance to channel our inner five-year old selves. We left our seats and gathered on the floor in the center of the room for a reading of the awesome picture book Emmanuel's Dream by Laurie Ann Thomspon. 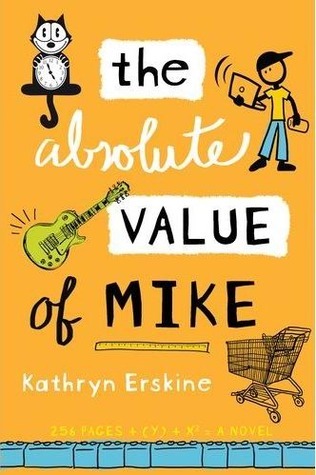 Since we had just finished writing our synthesis essays based on the documentary about Emmanuel Ofosu Yeboah and the novel The Breadwinner, it was a great time to read a fabulous picture book. WE ARE NEVER TOO OLD FOR PICTURE BOOKS! Our word of the day yesterday was ANTIQUITY, which simply means ancient times. An example of the the word in a sentence is One of my favorite people is Socrates, who lived in antiquity, but whose wisdom still resonates today. Our word of the day for today is DUBIOUS, which means causing doubt or untrustworthy. 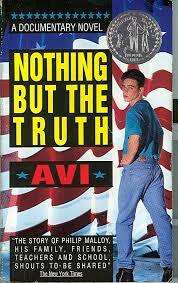 Today, we are beginning our new novel, Nothing but the Truth by Avi. 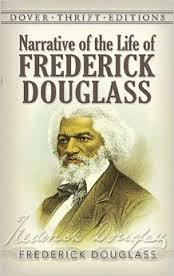 We read aloud from the opening pages and for tonight, share a couple of sentences on the class blog with your response to this question: WHAT IS PATRIOTISM, AND HOW IMPORTANT (or unimportant) IS IT? Today in class, we did a double- peer revision of our synthesis essays. Yes! We talked about some of the key areas to look for in our essays. As you continue editing at home, be sure to check these KEY WRITING GUIDELINES before printing out your final draft. The final draft of our synthesis essays will be due this Wednesday, March 9. Be sure to include all your rough draft work stapled behind the final draft. And here is the overview of the mission in case you need an extra copy of you'd like to print out one to frame for your bedroom wall, or you want to double-check that you've followed the outline. Be sure to check in the blog posts below if you need more information, to watch the video clip explaining synthesis, or to be sure your paragraphs follow some of the examples we explored in class. YOU CAN DO THIS!! I am very proud of the work you have each put into this essay so far, and I'mm really looking forward to the final drafts. Yesterday, we dove into our Synthesis essays, but we did so backwards. Instead of beginning at the, well, beginning,, we began with our second and third paragraphs. Even though it seems crazy, the easiest way to write a synthesis essay is to figure out each part first, and THEN combine them together to make the whole. 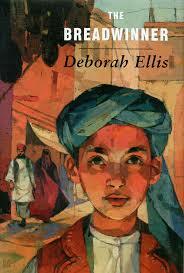 So, yesterday we write our theme paragraphs about Emmanuel's Gift and then about The Breadwinner. And today, we are building our Introductions--complete with our actual synthesis statements! Here is a link to the examples we'll discuss in class today on how to find your synthesis statement. And finally (finally!) here is a video that explains how to get your synthesis statement in case you need a refresher, or you love synthesis SO much that you just can't wait until school tomorrow to hear all about it again! Our word of the day yesterday was PERPETUAL, which means continuing on forever. And our word of the day today is ARDUOUS, which means incredibly hard! Have an awesome day and evening!